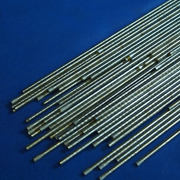 Cobalt #6 Bare Wire (ERCoCr-A) provides resistance to many forms of chemical and mechanical degradation over a wide temperature range. It bonds well with all weldable grade steels, including stainless. Please fill out the form below and we will get back to you shortly with your quote.